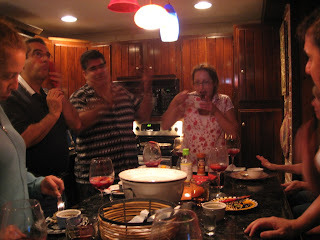 After Norwood Day, there was an impromtu Wonton party at chez Nick. Yummy and delicious. 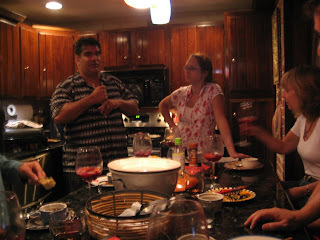 I love this photo because it is apparent that Nick is talking with his hands...heehee! 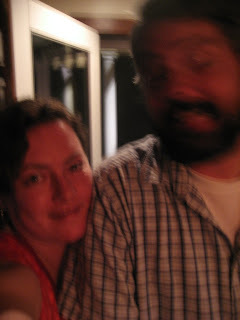 Scott and I...another blurry photo, but I love Scotts expression in mid head move. 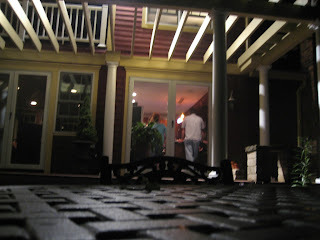 A picture from outside the deck. mmmmmmmm...wontons. They're the most delicious little pillows! and so much love and time goes into them. Thanks for all the help stuffing and cooking, eating and drinking. I have a headache just thinking of adding pineapple vodka to Nick's fantastic sangria. Always a good time- thanks for coming.